Before the Maa-nulth First Nations Final Agreement was implemented, the Toquaht Nation had just 196 hectares of reserve lands (within our much larger traditional territory). In Canada, reserve lands are not owned by First Nations. In fact, they are owned by the federal government and are simply “reserved,” or set aside, for Indian Act bands to use. When the treaty was implemented on April 1, 2011, the Toquaht Nation ceased to be an Indian Act band and took back full, fee-simple ownership of 1,489 hectares of land within our traditional territory. These lands are called “treaty settlement lands” or “Toquaht lands,” and can be seen on the map below. The red line shows the boundary of Toquaht’s traditional territory, which is recognized in the treaty. The pink is the former reserves we took ownership of, and the yellow is the additional lands we took ownership of. The treaty also lays out a process by which Toquaht can add other fee-simple land to our treaty lands in the future. For example, in 2014 we purchased an additional 68 hectares of fee-simple lands, which turned into treaty lands. 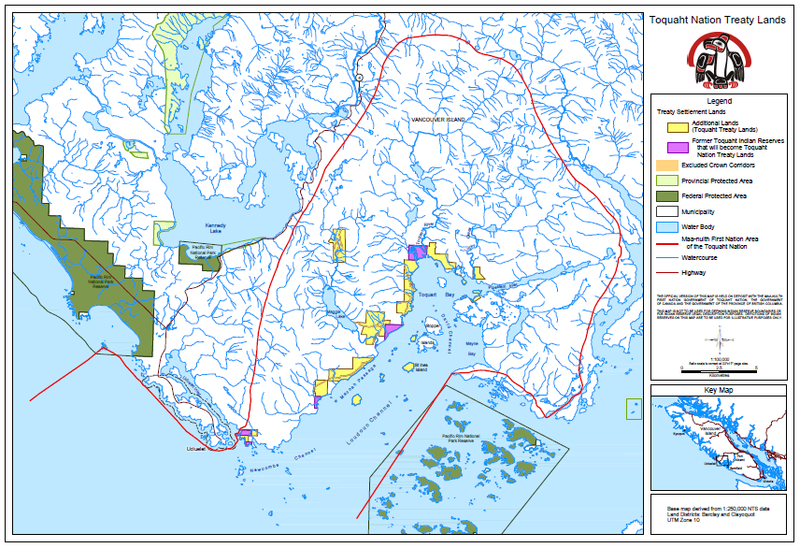 Toquaht lands now total 1,557 hectares, and that number may grow in the future. The Toquaht Nation has law-making authority over all of our treaty settlement lands, although federal and provincial laws also apply. The treaty lays out which jurisdiction will prevail if any laws conflict. 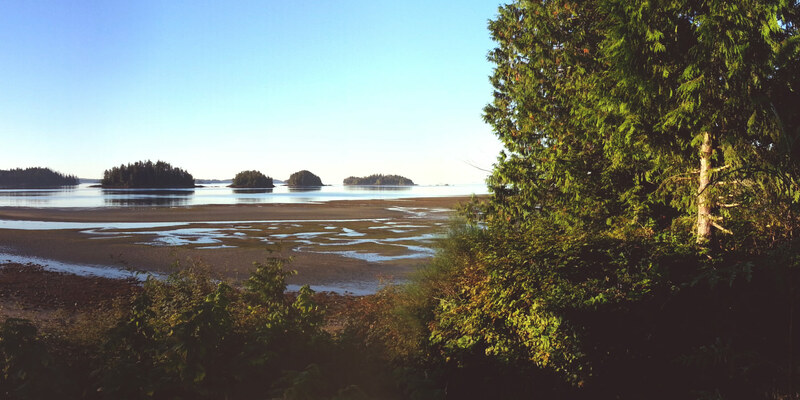 To read a summarized factsheet about lands under the Maa-nulth First Nations Final Agreement, click here.